Rework of older digital design using stencils and masks to airbrush a new version on paper. 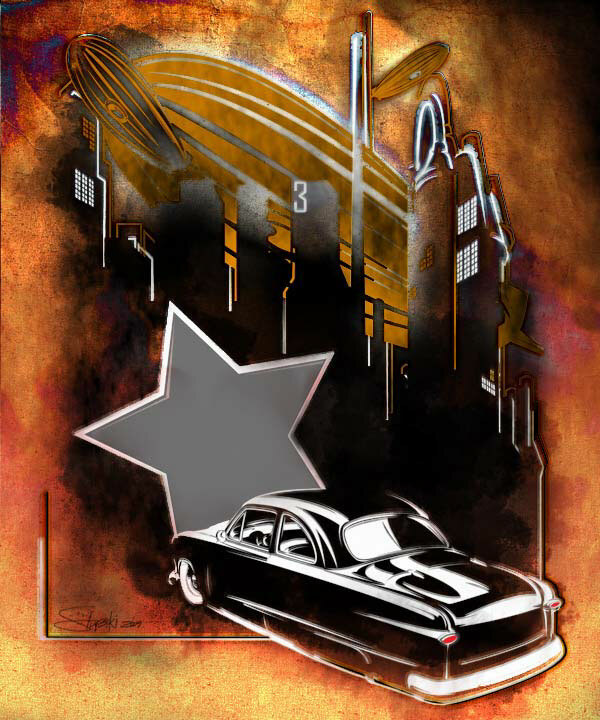 Artwork features a mild custom car and an abstract city scape. Stencil art version of the old "No.3" artwork. Cutting stencils from Mylar, and laying in frisket film cut with my trusty X-Acto, I created a much more tangible version of the piece. Paints were laid on in multiple layers using two Iwata airbrushes... it's been a late favorite technique to bring in traditional and digital methods to creat a unique piece. Hope you enjoy it.